Franchise To Open Computer Center, ABCSA,Computer Franchise, Free Franchise: How To Earn From Franchise ? How To Earn From Franchise ? If you are an unemployed and want to do something of yours then franchisee business is the most rapidly growing money making area. But there is a chance of getting cheated so it is necessary to know the ins and out of this business. 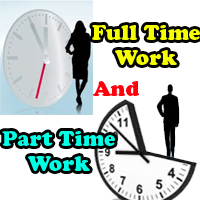 Here you will know the best way to make money in your spare time as well as full time too. If you don't have much financial power to invest in that case you can start your own work just by taking franchise of any company, institution or organization. In that case only a minimum amount is needed and from your home you can start this work easily. AS much you work so as the profit you will get. But it is not easy to find a very good organization in this digital world because too much institutions are there, too much companies are publishing advertisements so for a common person or novice person it is not as easy to find the right institution or organization. Here in abcsa.co.in you will get the best knowledge to en-cash your spare time and franchise. First of all find your interest for example if you like to make relations and teaching then franchise of any education centre is good for you. Now 2nd thing is to decide the budget. If you are interested to invest very minimum amount in that case you can take the franchisee and start educating the students and earn. But if you are interested in making much more than that and love to travel or making relations with distant places too then there is an opportunity to take the Master Franchisee and work at broad level. Once you take franchisee then next step is to work so as to make money. There are 2 ways one is to work in field, meet people and motivate them to take your franchisee and 2nd is to work on line. In this case you have to make your website and then earn unlimited. Be in touch with the main company, organization or institution so as to know about the latest development. Remember you are not an employee but instead you are an entrepreneur and you have to prove your self as a successful person before your eyes. Akhil Bhartiya Computer Siksha Abhiyan(ABCSA) is giving you the best opportunity to take franchisee Or Master franchisee of your area and work as an entrepreneur. 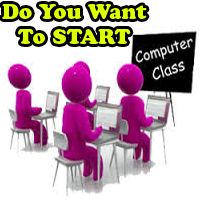 You can start your own computer centre, you can take master franchisee and work in your area. You can get name, fame,money by taking the franchise of ABCSA. 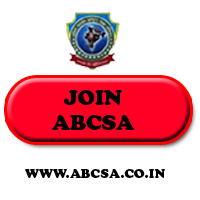 To know More About ABCSA Franchisee Go Here. How To Earn From Franchise?, Best way to earn money in India, Make Money through computer center.